It shouldn’t shock anyone that the highest settlements under the False Claims Act have been for profit entities. Specifically, big pharmaceutical companies, defense contractors and banks. Our record $16.65 billion case against Bank of America last year still reigns over the top spot but it wouldn’t surprise us to see unrestrained corporate greed propel some other business into the top spot. What does surprise us is the number of non-profits that are racking up huge settlements. Traditionally, non-profits are motivated by the public good. Their mission isn’t to turn a profit. Theoretically, any excess income a non-profit makes ought to be plowed back into its primary mission. For example, a nonprofit hospital that has excessive cash should strive to provide more charity care or do more disease prevention work. Although I have never worked in a hospital, I served on the board of the Family Violence Project, an organization of dedicated volunteers and salaried employees. No one took a job there hoping to get rich. Our employees were every bit as motivated as our volunteers. We tried to pay staff livable wages while at the same time serving all the needs in the community. Most employees at nonprofits choose to work there because they believe in the organization’s mission. For example, the curator of an art museum, although paid, probably is very passionate about art. I don’t think the average executive at an insurance company is at passionate about insurance. When it comes to healthcare, the line between for-profit and not-for-profit has become quite blurry. We don’t often see False Claims Act cases involving nonprofits, even though many receive government funds and grants. 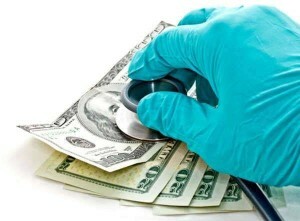 The big exceptions, of course, are in the healthcare sector – non-profit clinics and hospitals. Earlier today I read an article in the New York Post that claims the CEO of the non-profit North Shore LIJ Health System earned $10 million last year in total compensation. North Shore operates Lenox Hill Hospital in New York and other facilities too. Their revenues are $9.5 billion. Some hospitals try to operate both as a for-profit and a non-profit entity. How is that possible? It probably takes an army of good accountants and tax lawyers! Basically, where it is advantageous to be a for profit, those functions of the hospital will operate that way while other affiliates operate as not-for-profit. When that happens, it is usually nothing more than a charade deigned to maximize government funds and donations while minimizing any taxes on the for-profit side. The proliferation of these hybrid arrangements and the huge C- suite compensation packages has resulted in these organizations often running as corruptly as their for-profit counterparts. Traditionally the Justice Department was reluctant to pursue False Claims Act cases against non-profits. The False Claims Act is a 19th century fraud statute that punishes companies that misuse public funds. Under the Act, wrongdoers are subject to triple damages and penalties of up to $11,000 for each false claim (invoice) submitted to the government. Whistleblowers who file their claims in federal court can collect up to 30% of whatever the government collects. Prosecutors didn’t want to pursue a False Claims Act charge because of the belief that any fine money would come from donors or would reduce the ability of the hospital to perform charity work. Today, that is but a myth. In recent years it isn’t unusual to see multimillion dollar settlements against non-profit hospitals and even state and local government operated facilities. or by telephone at (414) 704-6731 (direct dial). All inquiries kept strictly confidential.